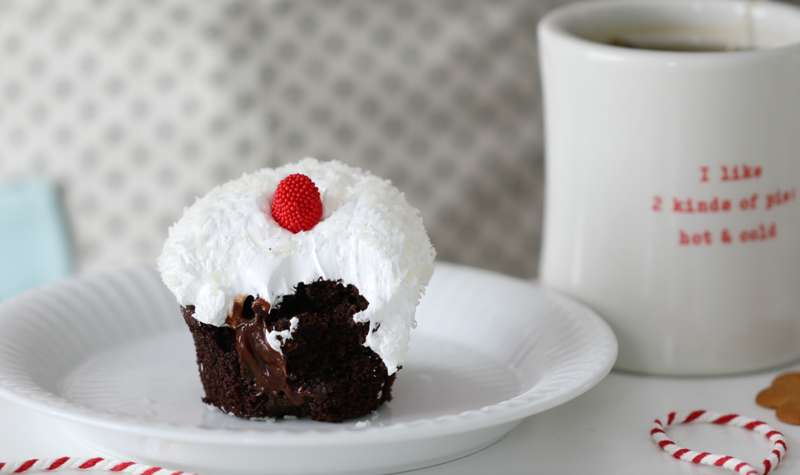 Hey sweet people, I hope you all are doing well. 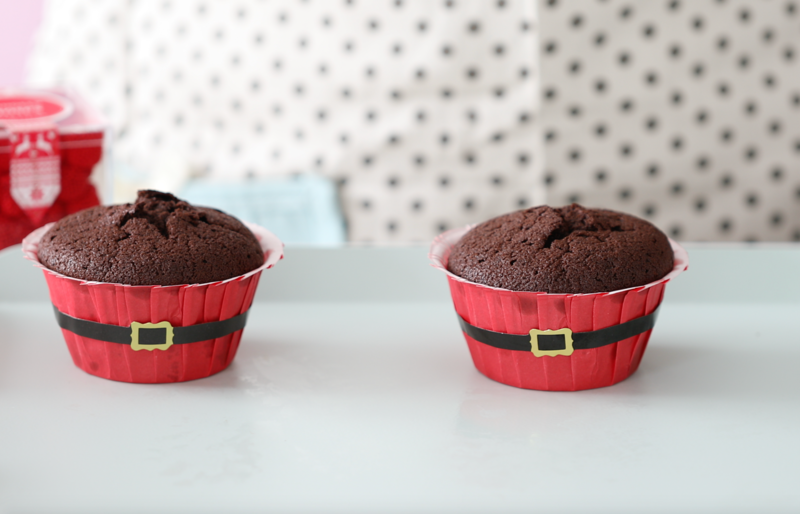 I can´t believe it´s already December how a year just flies by. 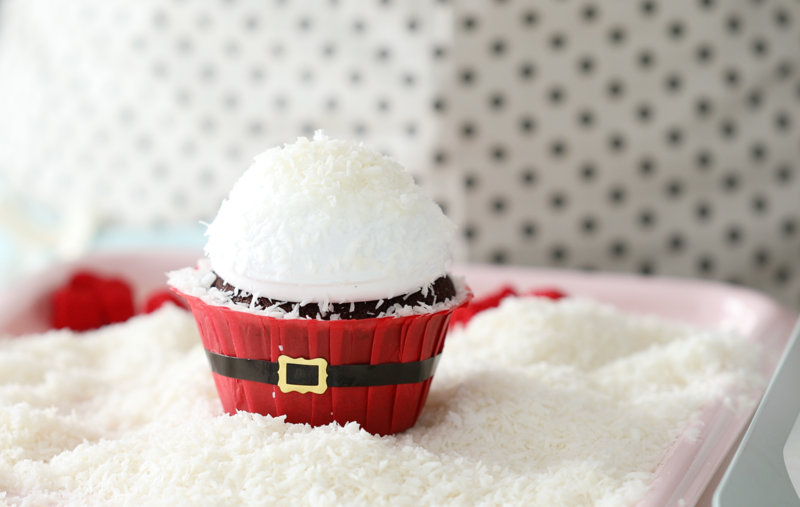 In Sweden we already have snow at times, I look forward to having snow, it´s so beautiful to look at. 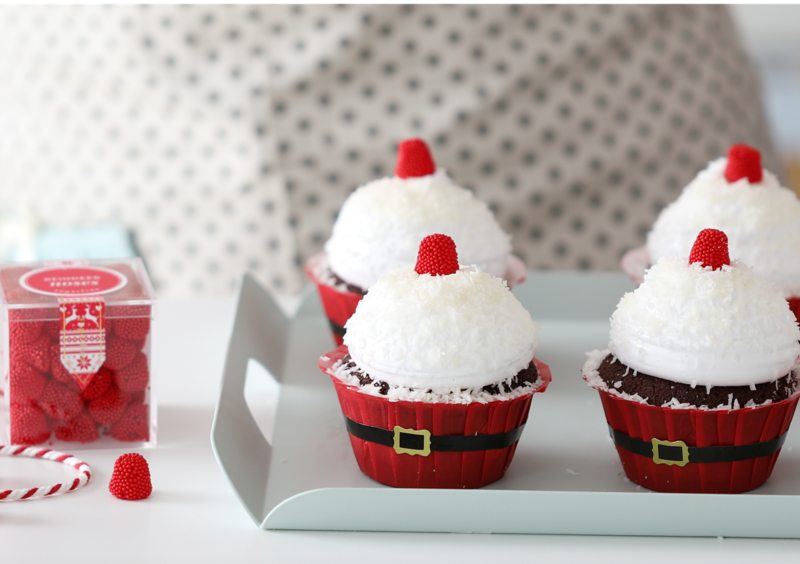 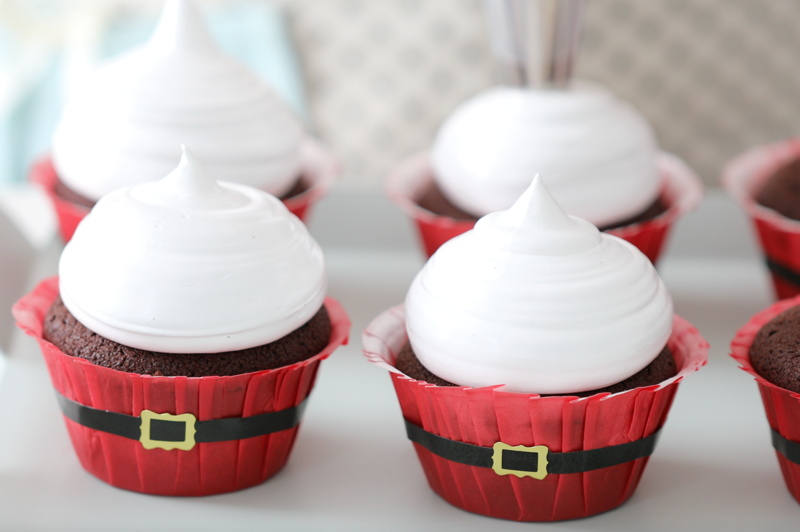 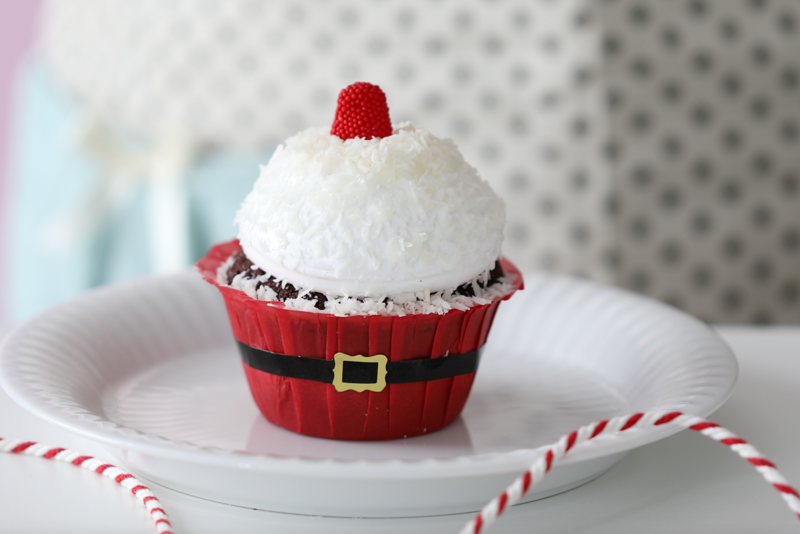 I thought to start off December, by sharing the recipe for these cute and so incredibly delicious Santa cupcakes, these are so festive to make especially for the holiday season. 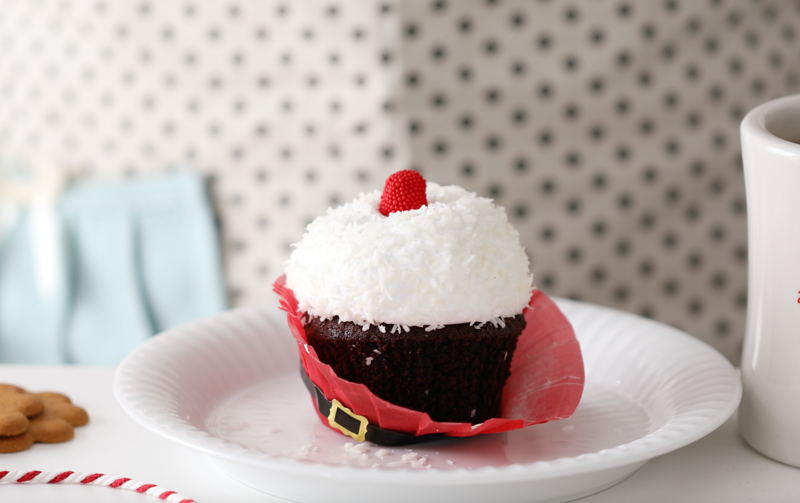 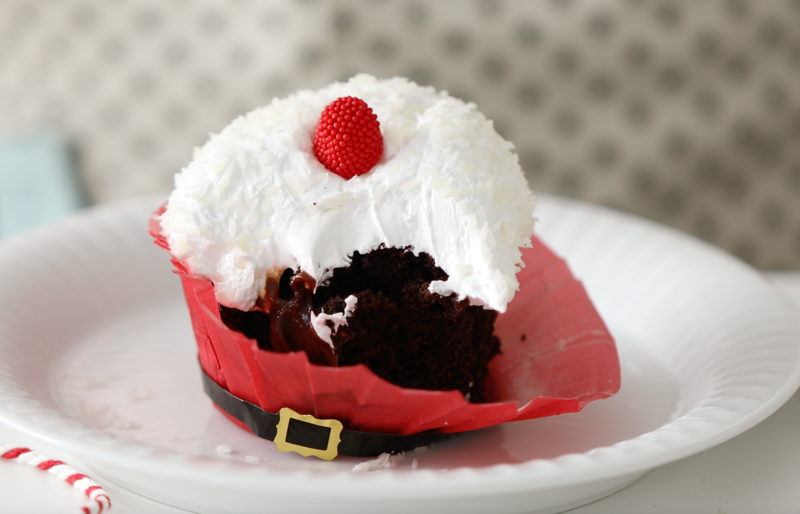 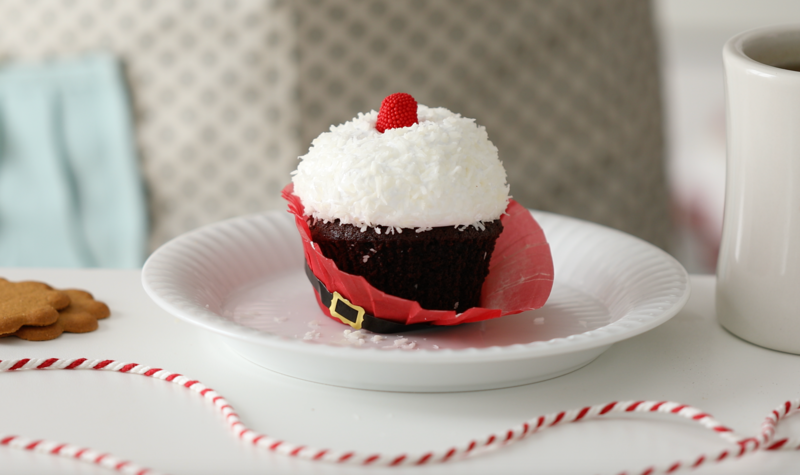 The cupcake is super moist, it is filled with a chocolate fudge and topped with vanilla bean frosting, coconut, and a cute red candy. 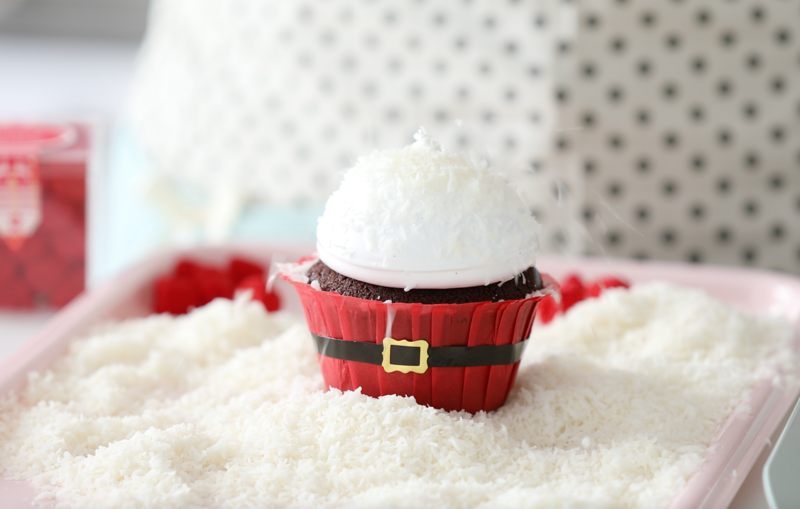 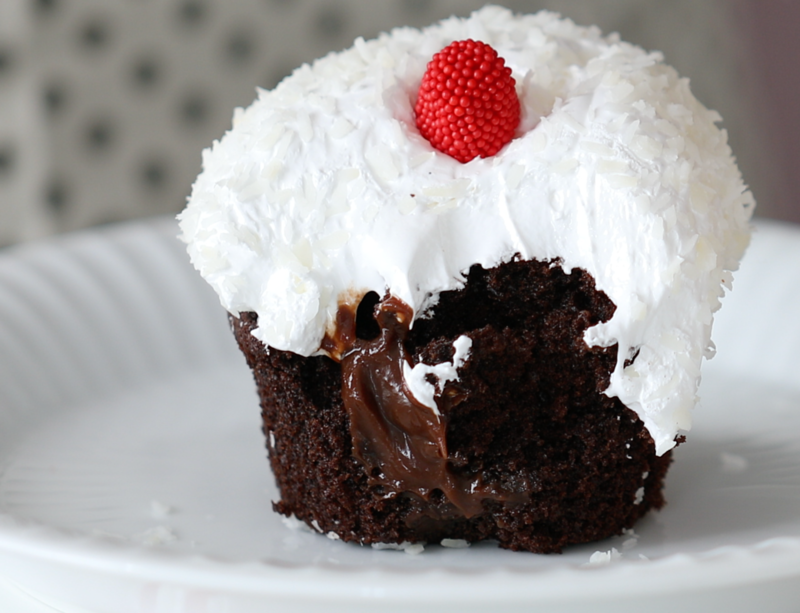 The combination of the cupcake, the filling, the topping, and the coconut is just heavenly. 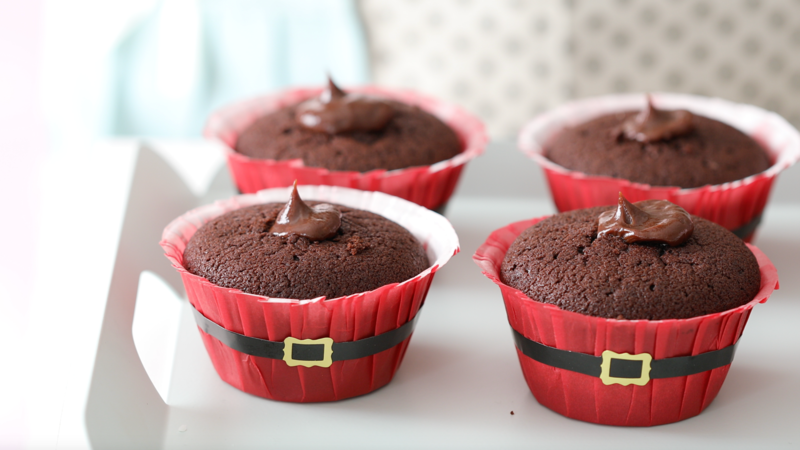 1/2 RECIPE FUDGE CHOCOLATE FILLING, GET THE RECIPE →HERE. 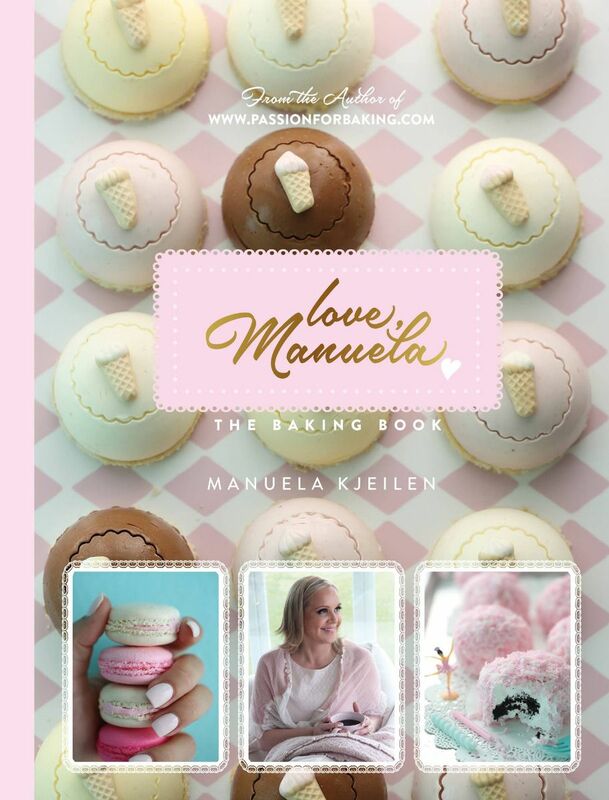 Preheat oven to 350F° (180C°). 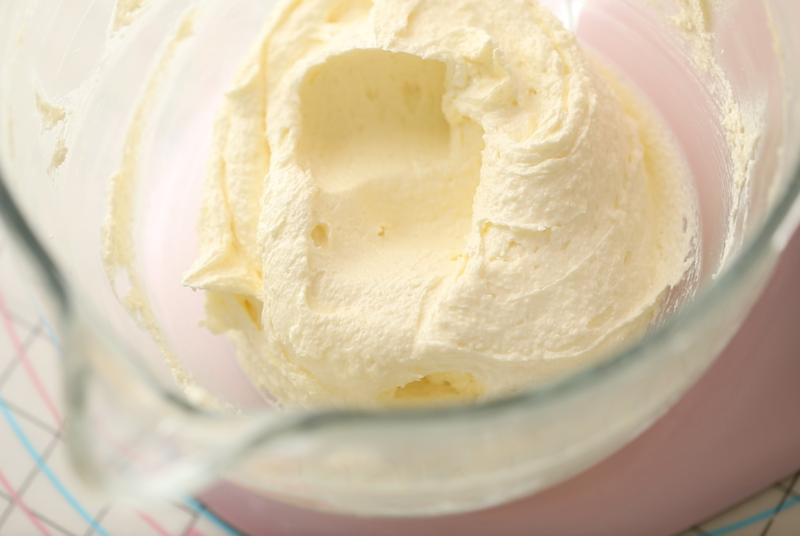 Add vanilla bean paste or vanilla extract to the heavy cream, stir and set aside for now. 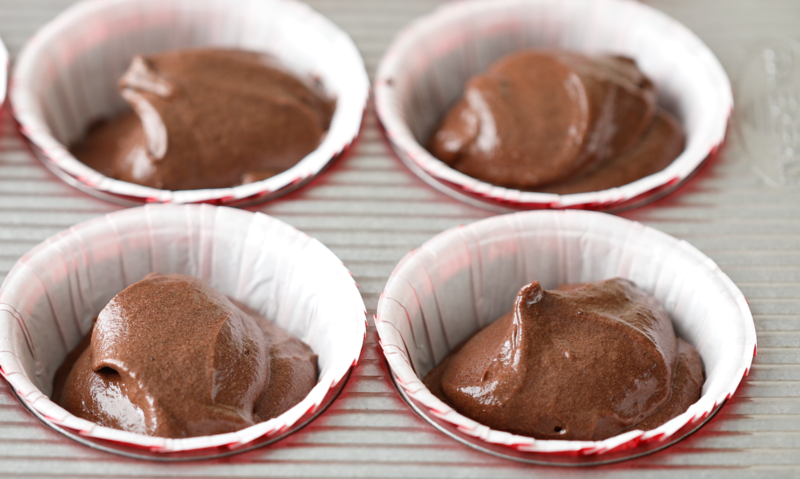 Sift flour, unsweetened cocoa powder, espresso powder, baking powder, and salt in a bowl twice, and set aside. 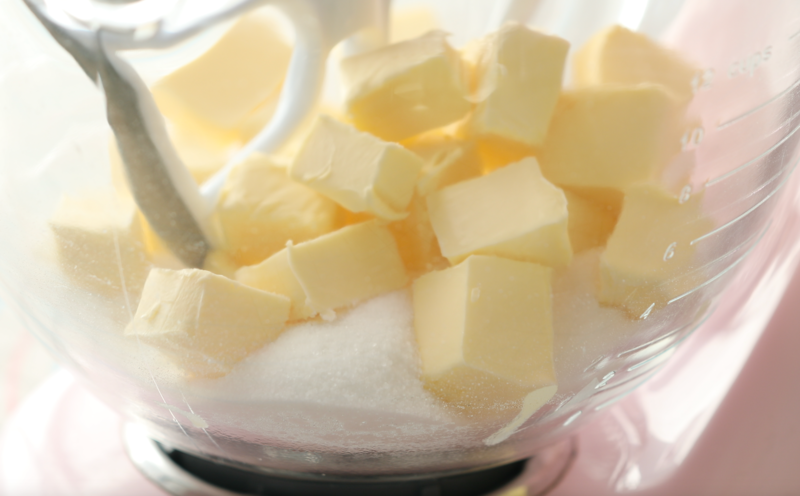 In a bowl of a standing mixer, cream the butter and sugar together until light and fluffy, about 6 minutes. 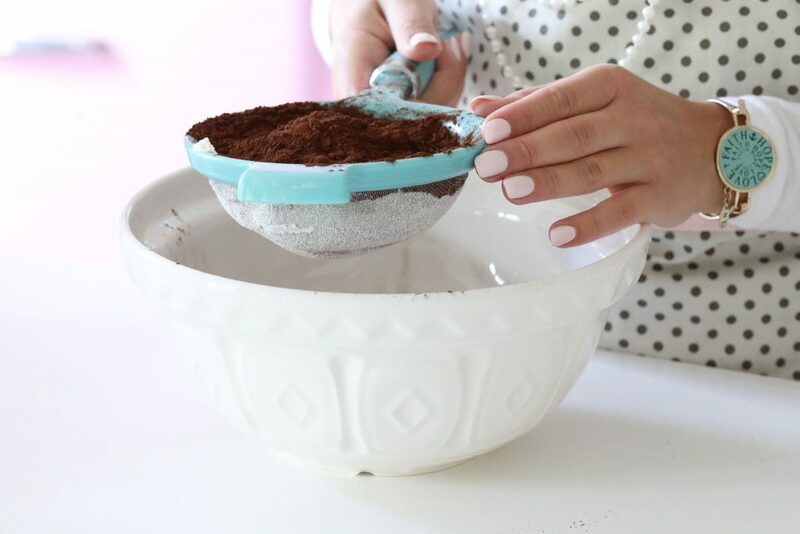 Scrape the side and the bottom of the bowl, Add the eggs, one at a time, mixing slowly after each addition, but not more than 30 seconds each. 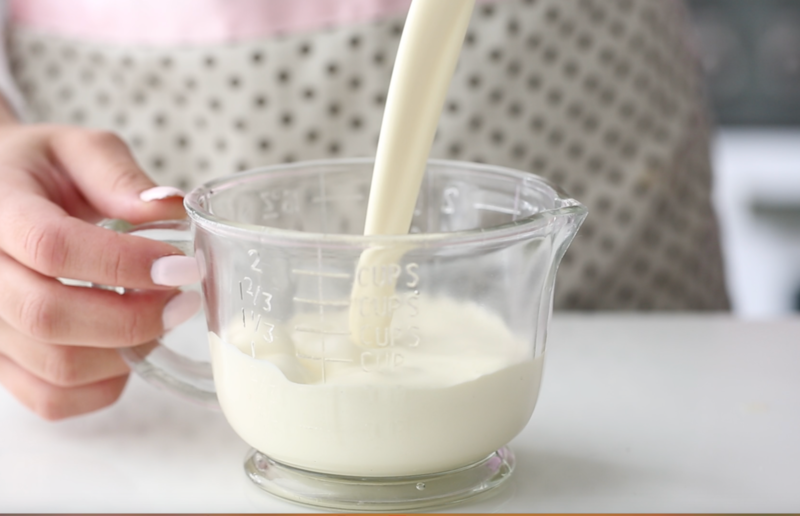 Add the flour mixture to the butter mixture, and the heavy cream, beating slowly until well incorporated, but not more than 30-60 seconds. 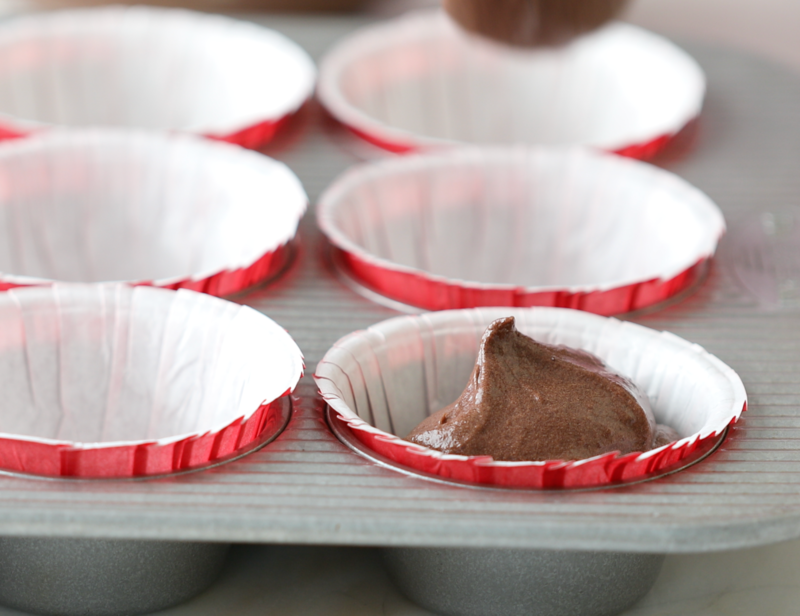 Scoop the batter into baking cups so that each cup is about. 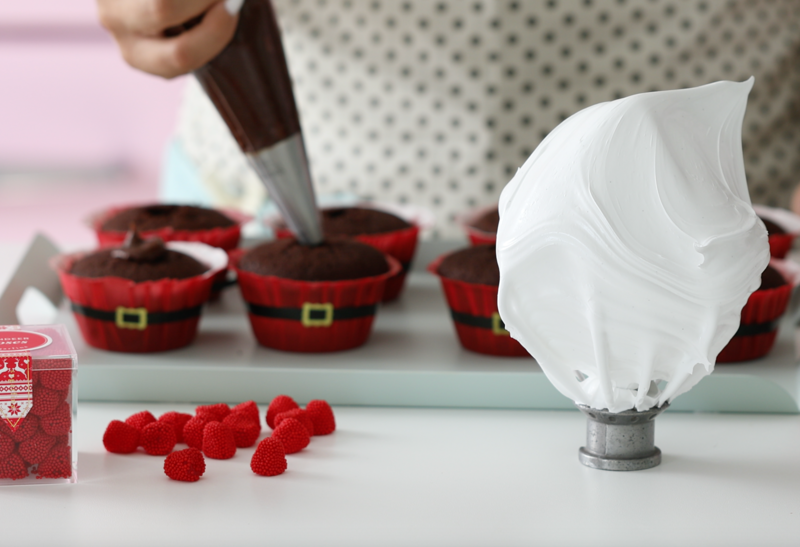 3/4 full, I use a standard size ice-cream scoop for this. 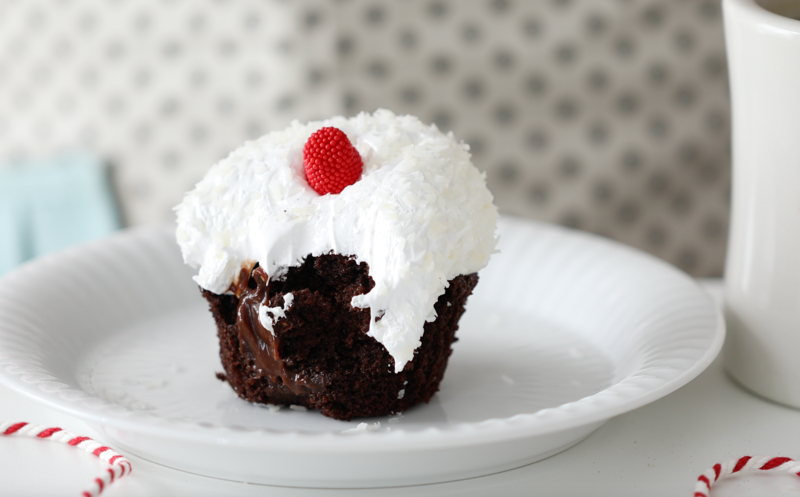 Bake for 20-25 minutes, or until a cake tester inserted into the center of a cupcake comes out clean. 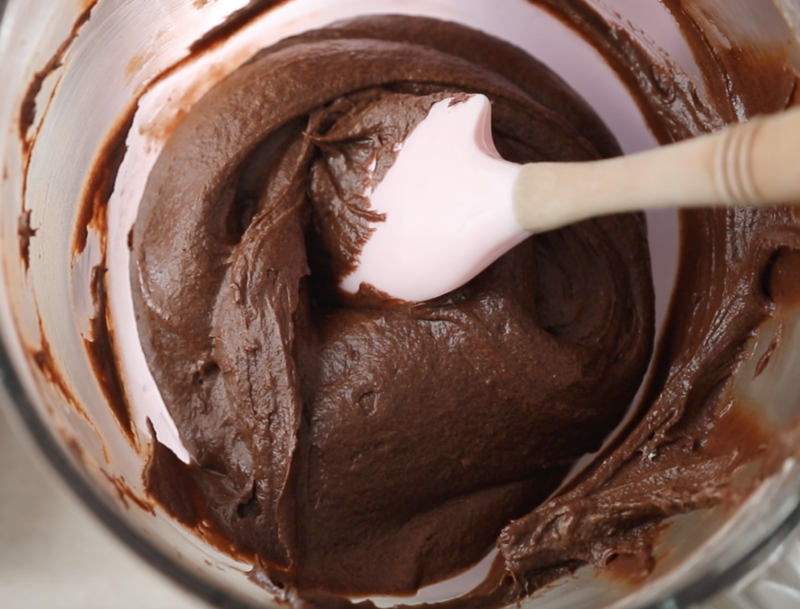 Make fudge chocolate filling, you can find the recipe →here. 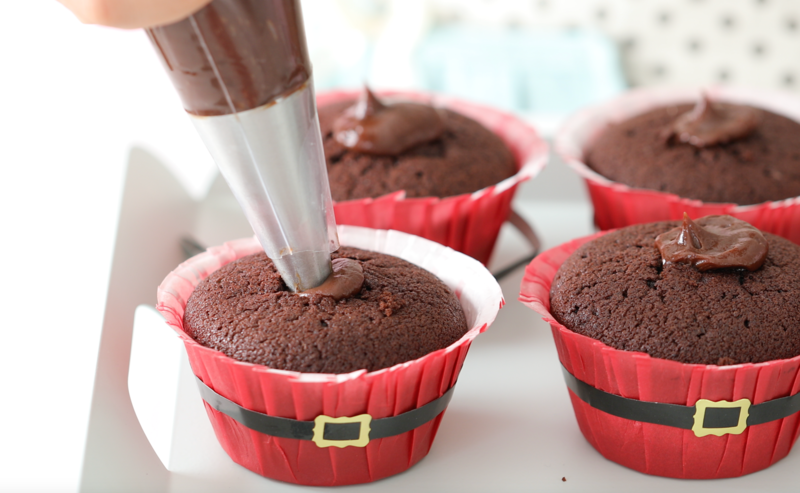 Make a hole in the middle each of the cupcakes with a knife, and fill it with fudge chocolate filling, about one teaspoon in each cupcake. 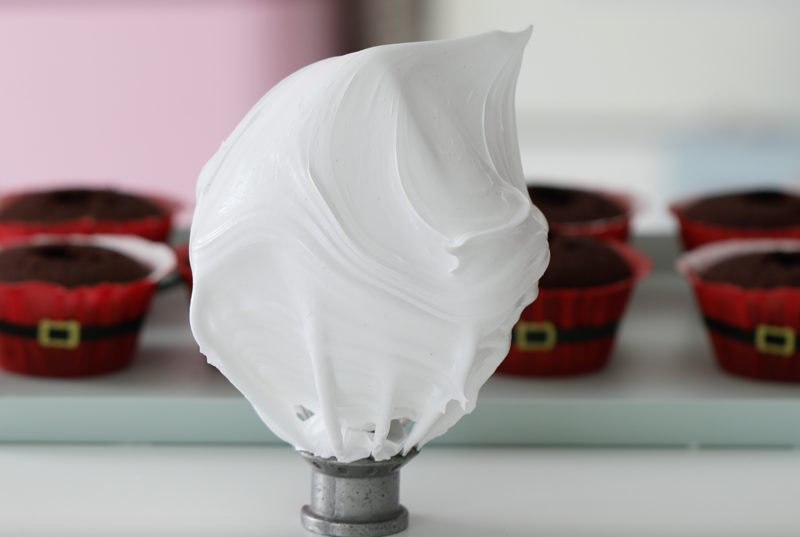 Make the vanilla bean frosting, you find the recipe →here. 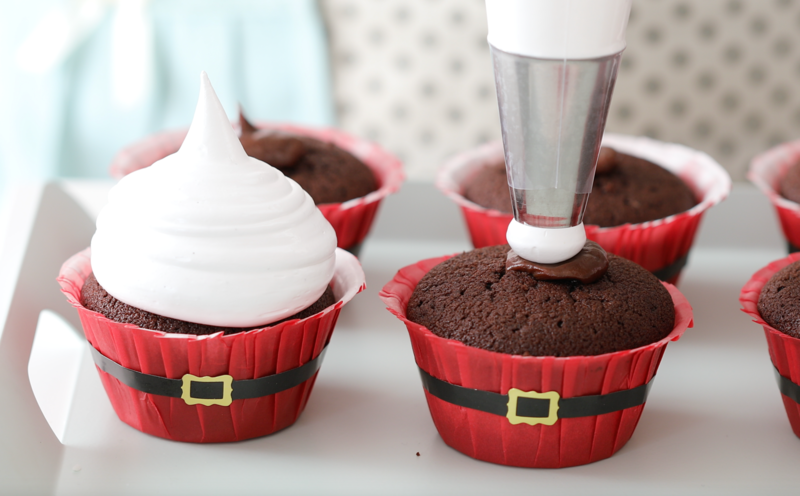 You will need a piping bag with a large round nozzle, pipe mounds of frosting on each cupcake. 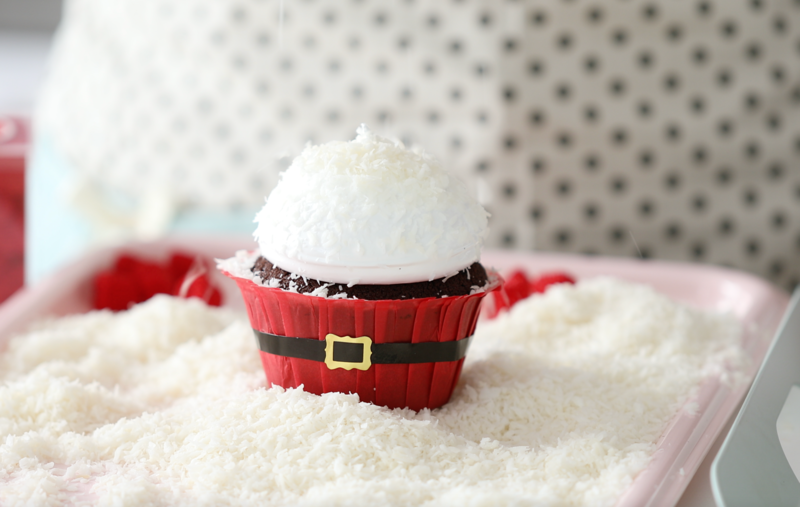 Drizzle the top with coconut and enjoy!